As a teacher, do you know children who are reactive, impulsive and in an aroused state for most of the time? 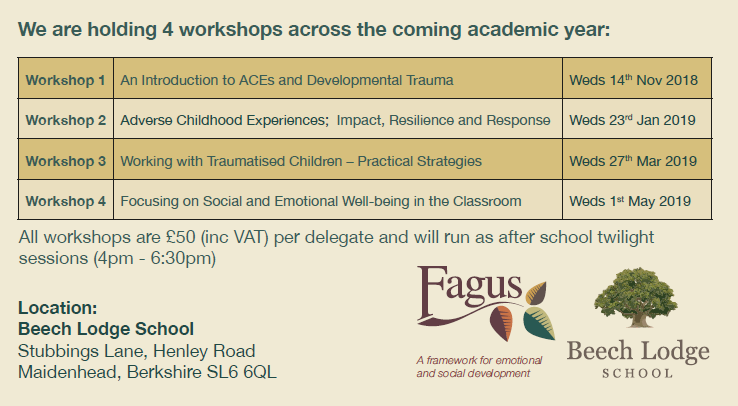 These children may have issues relating to insecure attachment and often have experienced trauma in their young lives. At Beech Lodge School we believe that that every school should understand the impact of Adverse Childhood Experiences (ACEs). It's only once schools understand the fundamentals of complex trauma, they can start to comprehend what lies beneath a pupil’s behaviour and craft an action plan to respond to these challenges.